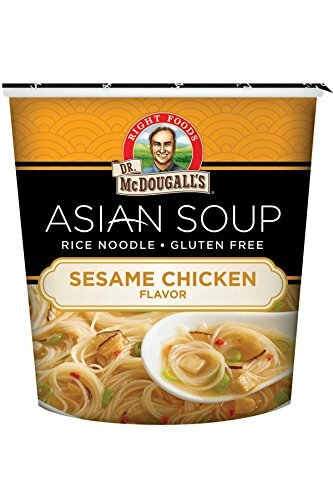 Dr McDougalls Sesame Chicken Rice Noodle Asian Soup, 1.3 Ounce -- 6 per case. This tasty, authentic Asian soup is vegan and made with rice noodles that are gluten free and steamed, not fried. Goodness On-The-Go with only 140 calories from Dr. McDougalls Right Foods . View More In Asian Noodle Soups. If you have any questions about this product by Dr. McDougall's, contact us by completing and submitting the form below. If you are looking for a specif part number, please include it with your message.